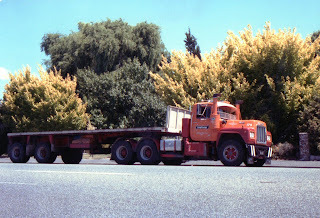 The Road Ranger Blog: Let's Look at Some More Trucks. 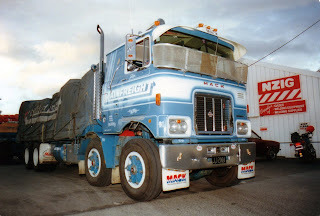 F series Mack of Mainfreight, delivers to the produce market in Masterton. A much more recent photo of a Nissan which belongs to Darlington Drilling and Piling. I guess that fairly well sums up their business. Ahh the throb of an 8v71 at idle. 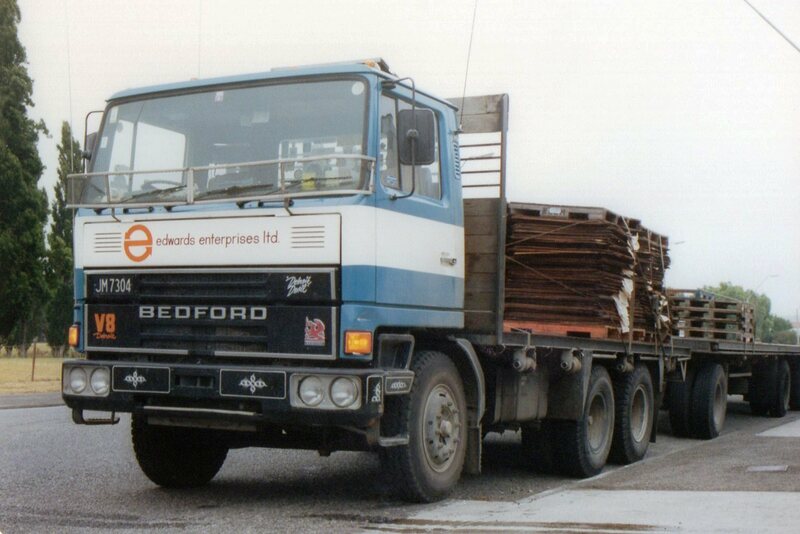 Edwards Enterprises Bedford TM. Kirbys became part of the TNL group. 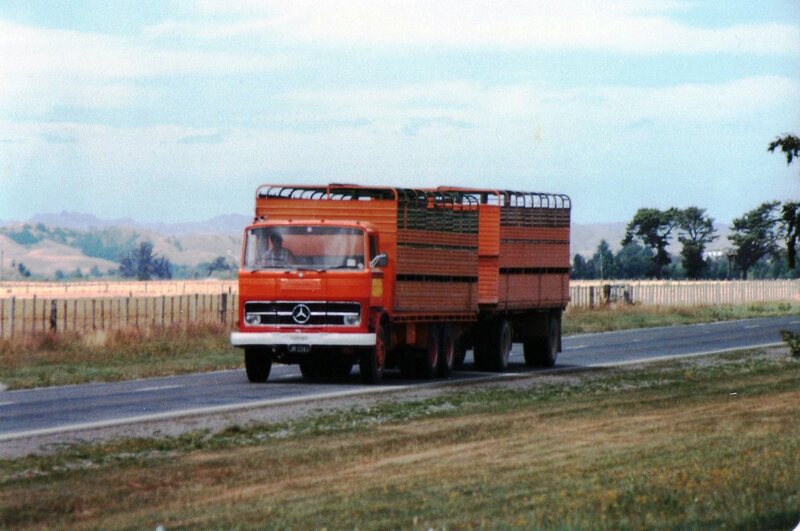 Their rigs were always well presented as witnessed by this Mercedes 1418 and furniture trailer in Waipawa. 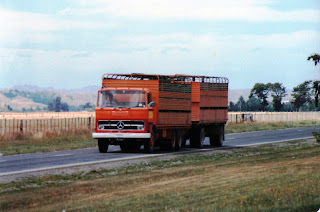 A 1973 Mercedes Benz LP1319 of Gleeson's Transport, Pahiatua. 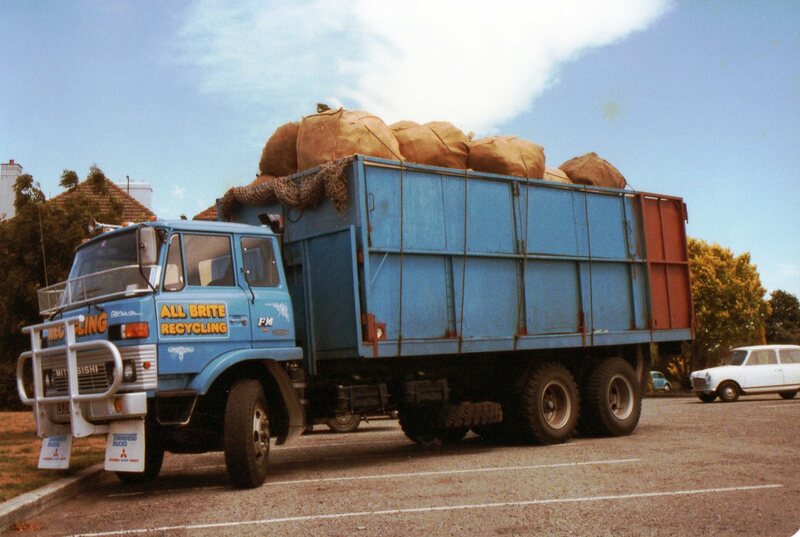 This truck is now part of their preserved fleet. In this photo it was still working for a living. All Brite Recycling's Mitsubishi FM215 from 1984.
International T2670 of Pahiatua Transport, leaves the Masterton Saleyards in the early evening. 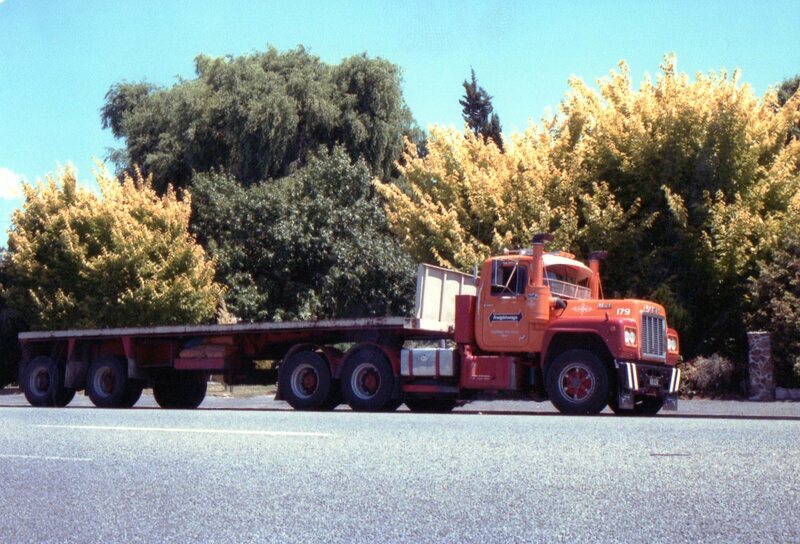 Freightways R series Mack in Palmerston North. This Mitsubishi of Brentwood Transport used to park in my street, driven by a young lady who lived there. I'm not sure if the young lady has moved or if she doesn't drive for them any more. 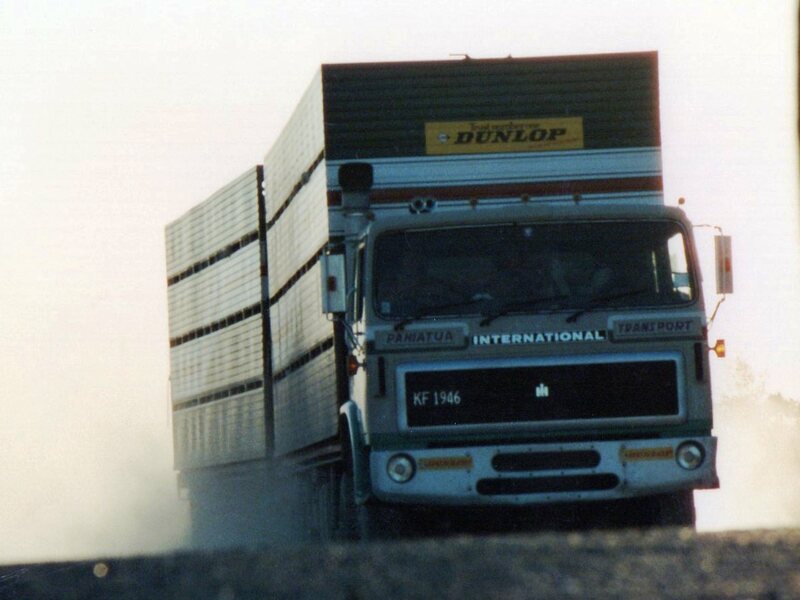 DAF of Maskill Contracting heads south from its home town. Placemakers (as their name suggests) provide materials for building. This Hino maybe carrying items for someone's new house. Mainfreight is a kiwi success story now operating in the US, China, Australia and of course NZ. Their fleet is made up of rigs from the very biggest to the very smallest. This Isuzu is obviously from the lightweight end of the fleet. MacAulay Metals, based at Seaview near Wellington, pick up scrap metal throughout the lower North Island. MacAulays were recently identified as the company who crushed the first car in our government's pathetic "boy-racer" legislation. Three boy-racer convictions (wheelies, donuts etc) and your car goes to the crusher. If there was ever a law to alienate young and old, this is it. If governments must introduce such childish laws, then apply it to drunk drivers as well...young or old. MacAulay's Mercedes-Benz 2654 moves a load of their "precious" metal. Peter Baker Transport has grown up and become PBT Transport. This Mitsubishi appears to be pulling a fairly elderly trailer. PBT again. 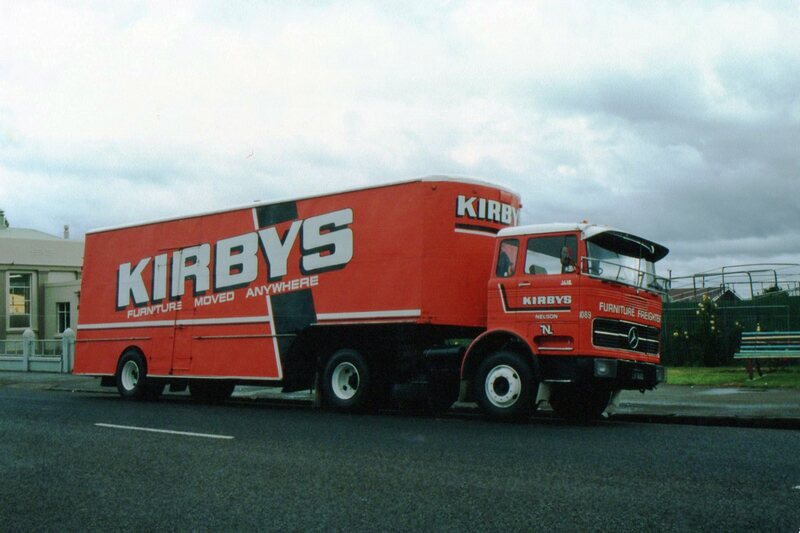 This time a Scania with 40ft container. 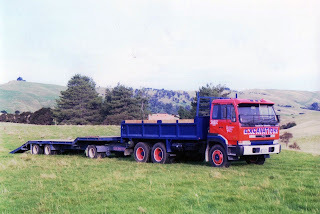 Another Scania. AF Logistics with supermarket products.